announced a contest for a New Symbol for Indian Rupee with a prize of Rs 2.5 lakh for the winner and 25,000 for the top 5 shortlisted designs and Jury has shortlisted 5 designs and in that one design has been selected by the Cabinet on July 15th, 2010, which will be the Official Indian Rupee Symbol is submitted by an IIT post-graduate D Udaya Kumar with more than one design. The participant has been told to design a symbol that should be applicable to any standard keyboard and have the Hindi alphabet "र (Ra)" with Two lines. Finance Minister Pranab Mukherjee said: Two lines reflect and capture the Indian ethos and culture. 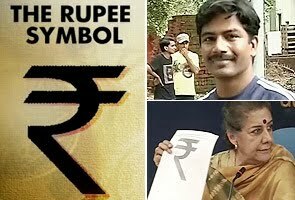 The Indian Rupee symbol is on the left, on the right top D Udaya Kumar and on the right bottom Ambika Soni. This amalgam (mix) of the Devanagari “Ra” and the Roman capital ‘R’ without the stem and has two parallel lines running at the top. 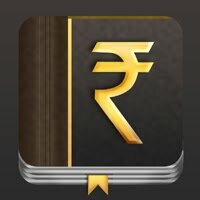 It not have been disclosed yet that when we can see the symbol on notes, stamps, ETC but hope we can see the symbol within six months of time frame in India, but it will take two years of time to get recognize Internationally. 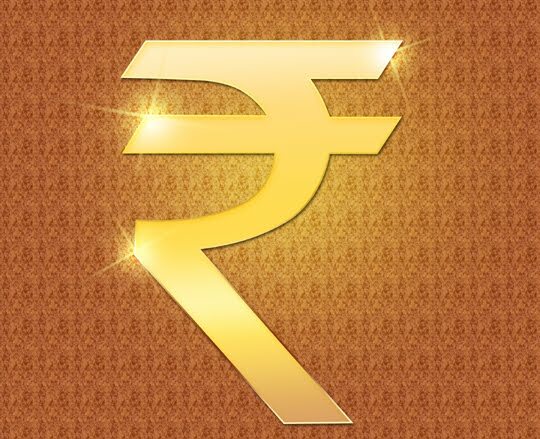 Please let us know what you feel about New Indian Rupee Symbol by commenting bellow. The symbol is just right, and joins a family of good currency symbols for the dollar, yuan and euro with its twin lines. But while countries make the changes, what about a new rupee, worth 100 of the old ones, so that it is again a substantial sum? France brought in a new Franc in 1961. Noone loses any money and the old currency can still circulate. The symbol is great, hope now there will be little change in Indian politics towards the betterment of the people in the country. Gr8 feel.. Looking good lets hope it comes up fast in circulation.. I feel weird when I see it. It is not my language. One step to save the tiger, lots more to do to save this beautiful animal. Here, We all Indians should feel proud for this recognition of Rs. within symbol in International Market. Now we can use this symbol instead of writing Rs.. It will take time for recognition of symbol in international market. WE ALL INDIANS SHOULD SALUTE THIS SYMBOL. We all Indians should be proud for this feel recognition of Rs. within simble in International Market. Now we can use this symbol instead of writing Rs.. It will take time to recognition of symbol in International market. WE ALL INDIANS SHOULD SALUTE THIS Symbol. i dont like this logo...after how many years we got our logo? & i think we still leaving in 19th century. 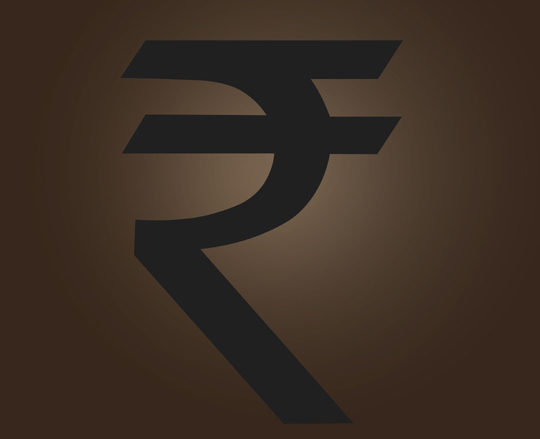 Its really nice that India is getting its currency symbol.It wud surely make it distinct from all other rupiahs (Pakistan, Nepal,etc). But unfortunately it would not be printed on notes.Rather it is goin to be used before all denominitions. The gud thing is that it represents the hindi & english alphabets togather which shows the true indian colors of globalisation & a gr8 mix of eastern & western cultures. WE DESERVED IT n hopes to have it very soon internationally after $ euro & pounds...!!!! GR8 GOING INDIA....!!! Good to know that...Symbol is looking good. now we have our own identity, it will proud of our nation. the symbol does have its own significance but the design does not look good as the Rs. symbol look as it looks a bit bizzare when placed whether you place it before or place it after the amount fixed. Good To Visit this blog, you very well presented the news here, about the symbol its really designed well and is very meaningfully made it. All the best to the designer Uday Kumar. Keep it up my dear friend. Through this i feel proud to be an India. Please save tigers n stop pollution. SAVE OUR PLANET!! Hi, I just linked this bolg in my knol "Breaking, Informative and Interesting News from around the world.